As approved in last years voting, three large trees were added to the community to offset the loss of fifteen trees in the last 5 years. Trees were placed in strategic locations to benefit the community look as a whole and as determined in consultation with a landscape architect. 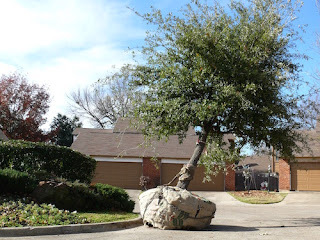 A Live Oak tree was placed in the north cul-de-sac garden to replace the two diseased pine trees removed in the spring. A Red Oak tree was placed at 1900 Wilshire to block the street view of the back of 123 Brentwood Court. A Live Oak tree was placed at 1606 Brentwood (the only street without a Live Oak) to provide some color in during the winter. Additionally, inexpensive Crape Myrtle trees were placed at 1903, 1908, 1911, 2007 and 2013 Wilshire, and 1508, 1514, 1526, and 1605 Brentwood. Two native trees are being nurtured by the landscaper.